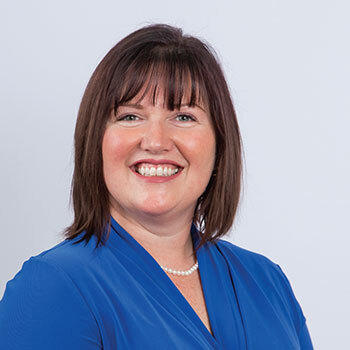 Brantford – Richelle Monaghan, an assistant professor in Health Studies and Biology at Wilfrid Laurier University’s Brantford campus, was selected as the first recipient of the Gail Jenkins Teaching and Mentoring Award by the Human Anatomy and Physiology Society (HAPS). The international award recognizes a HAPS member who demonstrates a passion for engaging students through active learning strategies to help them master the core concepts of anatomy and physiology. The award was established in memory of Gail W. Jenkins, a celebrated member of the anatomy and physiology community, who passed away in 2016. Jenkins is described as a dynamic and engaging instructor of anatomy and physiology who loved teaching and excelled at making difficult concepts clear to her students. Jenkins employed everyday analogies and simple visual props to help students build their knowledge and understand complex ideas. Monaghan, who has been at Laurier since 2012, received Laurier’s 2017 Award for Teaching Excellence in the category of early career excellence. She was recognized for her ability to develop dynamic, engaging learning experiences for her students. Monaghan was also a leader in establishing the science program at Laurier Brantford and setting up the William Nikolaus Martin Chemistry and Biology labs. Monaghan received the Gail Jenkins Teaching and Mentoring Award at the HAPS annual conference general meeting in Salt Lake City on May 26, where she also presented a workshop for attendees. She will be recognized by the university at a reception June 28 from 3 p.m. – 4 p.m. at RCW 111 on Laurier’s Brantford campus. Those interested in attending are asked to RSVP by June 21.